If you are asserting a legal claim for a serious injury or facing criminal charges, selecting the law firm to represent you is the single most important decision you will make. In a civil matter, that decision will affect whether you recover full and fair compensation or suffer indignity on top of your injury. In the criminal milieu, your choice of attorney can mean the difference between freedom and lengthy jail time. 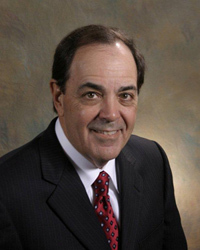 For more than 35 years, John D. Fernandez, P.A. has provided quality legal representation to residents of the greater Tampa Bay area. We are seasoned trial lawyers whose diligent preparation, firm resolve and genuine devotion to service have earned us the appreciation of our clients and the respect of the legal community. We are available to serve you in matters related to: -Personal injury law -Premises liability -Criminal defense -Family law and divorce The attorney-client relationship: a privilege and a duty: If your only contact with the legal profession comes from mass media advertising, you probably think all attorneys are trying to maximize profit by processing a high volume of cases. At best, you may expect to be treated like a fast-food consumer. John D. Fernandez, P.A. holds that a lawyer's duty to his client is far higher than that of a producer to a consumer or even a reputable businessperson to a customer. The attorney-client relationship receives special privileges under the law because a lawyer holds his client's fiduciary trust. 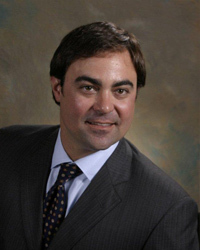 Therefore, the client's interests must come first and always will at John D. Fernandez, P.A. We are proud to receive numerous referrals from lawyers and former clients who recognize the efforts we make to honor our clients' trust. The simple truth about Florida trial attorneys: Not all lawyers have the requisite experience or talent to try cases. Those who lack either won't admit it and are perfectly comfortable to chalk up their mistakes to "experience." As a prospective client, you should not assume that a law degree or state license alone confers competence. Common sense tells you that all lawyers cannot be the same. Take the time to investigate before you commit. Preeminent reputation and long-standing service: John D. Fernandez, P.A. is AV Preeminent Peer Review Rated by Martindale-Hubbell, the highest rating given for legal ability and integrity. Our firm has been fully staffed since its inception in 1976, and we have practiced at the same location since 1982. We have no interest in establishing "satellite offices" in "convenient locations" to attract volume and build a reliable income stream. We believe we're engaged in an honorable profession and conduct ourselves accordingly. John D. Fernandez, P.A. turns down a large number of cases that don't meet our threshold for what we consider a legitimate injury. We do this to protect our reputation as honest brokers for true victims, who deserve full and fair compensation for their losses. If you have been seriously injured, you don't want your chances for recovery compromised by a sloppy lawyer which leads to a tarnished reputation. You do want the defense counsel to know that your attorney "wouldn't bring the case if it couldn't be proved." John D. Fernandez, P.A. has built a preeminent reputation over 40 years of practice. We represent injured plaintiffs in all manner of accident cases, involving a multitude of injuries, including: -Automobile accidents -Motorcycle accidents -Truck accidents -Boat accidents -Accidental drownings -Medical malpractice -Premises liability -Products liability -Resort accidents -Burn injuries -Loss of limbs -Paralysis -Traumatic brain injury -Wrongful death Dedication to client welfare: While all accident victims rely on compensation for medical bills and lost earnings, some will never fully recover and must depend on a damage award for lifelong care. John D. Fernandez, P.A. is dedicated to presenting the most compelling case possible for each of our injured clients, so that you receive the optimal award for your pain and suffering, as well as your future expenses. Detailed preparation supported by expert testimony: John D. Fernandez, P.A. has the experience necessary to build a compelling case for your recovery. We thoroughly investigate all cases, both fact investigation and medical conditions to make an initial assessment and then consult knowledgeable experts in the field who can assist in advancing your case for full and fair compensation. Finally, you can rely on our courtroom skill for a clear, concise and compelling argument that presents your circumstances in the most favorable light. Catastrophic accidents: traumatic brain injury (TBI) and wrongful death: The worst injuries require the best representation. When an accident victim has suffered traumatic brain injury, the person at fault must pay for expensive medical and rehab services, plus cover the loss of income for the duration of the victim's life. Wrongful death judgments include amounts for loss of companionship of a spouse, loss of the parental relationship for offspring and loss of income projected over the estimated lifespan of the deceased. These judgments are costly, and thus they are vigorously defended by insurance companies and their legions of lawyers. You must select an attorney with the resources, talent and resolve to face a strong and determined opponent.